HRMS Software | How is HRMS Helpful for the HR Manager? Home / Exactlly HRMS / How is HRMS Helpful for the HR Manager? HR managers today are a busy lot. They not only have to ensure that core HR responsibilities are taken care of, but they also need to oversee certain aspects of management that are not necessarily associated with human resource management. In such a situation, what could probably help these overworked HR managers of today? The answer truly lies in the form of an HRMS tool that will be able to take a load off their shoulders. 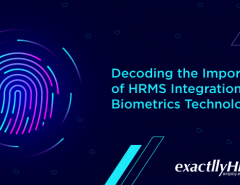 In this article, let us take a look at how an HRMS solution could help HR managers and even enhance the way they conduct their job responsibilities. An HRMS helps a manager to conduct his or her day to day activities in the department effectively. 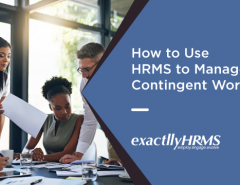 Whether it is to oversee the payroll processes or maintain positive relationships between employees and senior management, an HRMS supports day-to-day functions of the HR department. It serves as an effective interface between various entities of an organization and sometimes, even clients and customers may constitute this process. HR managers can use the HRMS interface to coordinate between these various entities and effectively conduct day to day activities at work. An HRMS helps the manager to maintain and build strong teams across departments. This consolidation of various processes is enabled with the help of effective recruiting, training, team building and planning. HRMS also helps managers to participate in staff development programs and assess the skills and levels of each employee, while assisting the managers to provide useful feedback. An HRMS provides valuable insight with the help of which managers can take proactive actions. They can address problems without any delays and enhance the acceptance of technology within an organization. It helps managers to negotiate priorities within departments and also in front of senior management. By coordinating with the IT department, marketing teams, and other teams across the organization, an HR manager can proactively use the data and analytics provided by HRMS solutions to arrive at solutions creatively. HR managers can use the analytics and data provided by an HRMS solution to plan, budget and forecast critical processes within an organization. It helps HR managers to evaluate vendor plans and the impact of certain existing processes. By combining various data and using the analytics to foresee future problems, HR managers can plan, budget and forecast effective steps to ensure successful project completion. All said and done, an HRMS is specifically designed to automate many processes that are unnecessarily manual even to this day. With features like employee self service and automatic leave applications, an HR manager will no longer have to explain the same rules and regulations over and over again to employees. HR managers will simply need to authorize certain processes or automate a few others. This helps managers to not only focus on more demanding tasks but also to get that break from work, which they deserve. Using an HRMS can simplify managerial tasks and reduce the burden on HR departments. 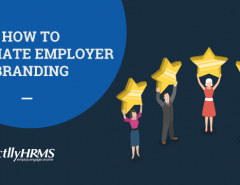 With just a little investment made in terms of time and money, an HRMS can boost an HR manager’s professional and personal lives. Most importantly, an HRMS helps the HR manager to become more efficient, impartial, analytical and accurate. If you work in an organization that doesn’t already use an HRMS, it is time for you to start lobbying!